This student submission comes from my former student Kelley Nguyen. 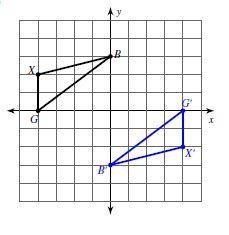 Her topic, from Geometry: translation, rotation, and reflection of figures. 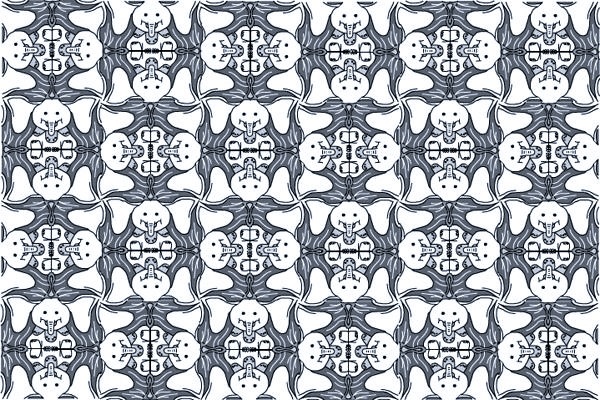 With this topic, I would definitely do an art activity, where students will construct tessellations of their choice. I would ask the students to print out a picture of their favorite animal, sport, pattern, etc. In class the following day, we would begin our drawings and the students will take the assignment home and finish it as a project. I would start them off in the top left corner, making a reflection of the original image. Then, we’ll turn the image 90 degrees, making a rotation of the original image. We’ll repeat this process until the entire page is complete. In this case, using an 8.5” x 11” sheet of computer paper may be the best choice so not too much time is spent on the art of the subject rather than the concepts behind it. If teachers wanted to make it an extra credit assignment, using a poster board can be a good idea and can be hung outside the classroom. Once the students are complete with the project, we will all reflect on what they see. They’ll be able to point out the turns and flips of the tessellation, which will lead us into the topic of transformations. Translations, rotations, and reflections all appear in the art of dance. Being a dancer involves a lot of movement, including turns, flips, slides, etc. 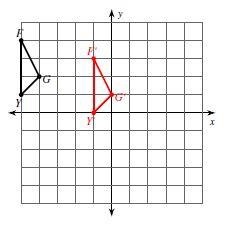 These types of movements are all connected to geometry. 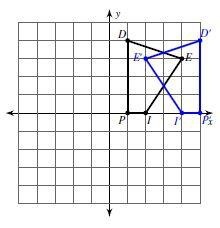 If a dancer spends an eight-count sliding from one space to another, this form of movement is considered a translation in mathematics. For example, in the picture below, the black character slides into the position of the red character. That is a form of translation with movement in dance. Mathematically, a translation will look like the image below, where the black triangle translates one unit down and five units to the right. Now, if a dancer decides to throw a handstand into their routine, this is a form of reflection on the original position. Mathematically, a rotation is done by a particular degree. The example below displays an object being rotated 180 degrees about the origin. Lastly, let’s say two dancers perform a duet for an upcoming show. Most of their routine contains the same exact movements but in some point of their dance, both dancers reflect each other moves against each other. This form of movement is considered a reflection. For example, in the picture below, both dancers are reflected each other’s leaps away from each other, making a symmetric line down the middle. Mathematically, a reflection is a flipped image across the axis of symmetry. In the example below, the black figure is reflected across x = 3 to create the blue figure. The examples provided are just some ways translations, rotations, and reflections are used in art of dance. Most people won’t pick up on the idea of mathematics being used when creating routines, but it’s definitely connected in many ways, movement being one. Transformations can be seen all over the world on streets, in museums, at parks, and downtown as works of art, architecture, crafts, and quilting. Many transformational designs are found in rugs, quilts, buildings, and pottery from numerous different cultures. These designs gave note to where and to whom these unique pieces belongs to. Most can agree that the use of transformations is important to art. These geometric designs showed a culture’s appeal of art and architecture. For example, historical buildings are well constructed and decorated to display religious beliefs or honor someone important in the community. These buildings often contain geometric shapes and patterns as an appeal to the population. Specifically, the Alhambra Palace in Spain portrays beautiful tessellation designs throughout its windows and ceilings. The designs are symbols of dynasty and wealth in their society. Crafts and pottery also play a big role in the importance of transformations within cultures. When studying this form of art, researchers can identify which cultures interacted with other cultures. Each culture alone had their own unique designs that identify them as a whole, which portrayed their way of living and track the journey they took. Lastly, thinking more modern, we could find that the United States Capitol building located in Washington, D.C. was built on the basis of symmetry. If you’ve ever been inside, you’ll notice that the building contains a lot of interior art work, including tessellations and symbols representing important historical people and events.